Essex County OPP say a Brampton trucker is facing charges after he caused a crash while backing up for a missed exit on Highway 401. 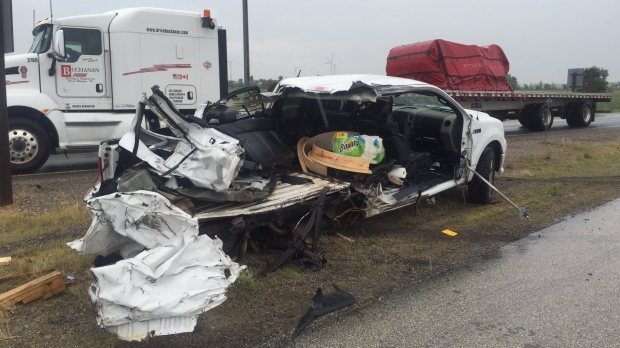 The westbound lanes of Highway 401 near County Road 25 (Puce Road) in Lakeshore have reopened following a crash that sent two to hospital late Friday morning. At around 11:30 a.m., the driver of a tractor trailer allegedly stopped his vehicle in a live lane of traffic on the highway just west of County Road 25. Police say the driver began to reverse his truck after missing the Puce Road exit. A westbound pickup truck hauling an enclosed utility trailer could not avoid the collision striking the tractor trailer, say police. Essex-Windsor EMS transported both occupants of the pickup truck to an area hospital, the driver with minor injuries and the passenger receiving serious but non-life threatening injuries. The driver of the tractor trailer, a 49-year-old Brampton was not injured and will be charged with dangerous operation of a motor vehicle causing bodily harm. 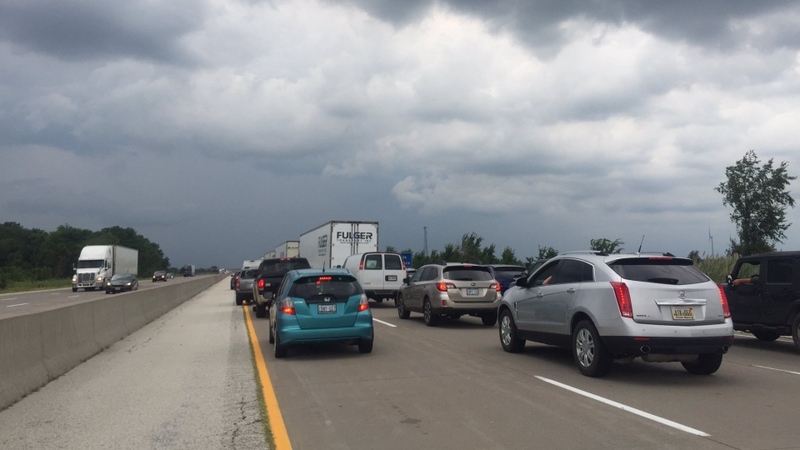 Highway 401 westbound was closed for over four hours during the investigation.